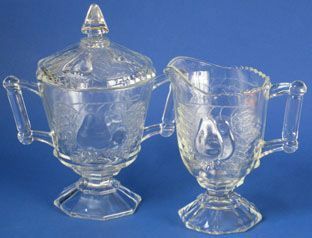 Westmoreland Sawtooth Ruffled Plates, 6.5", Crystal were made from 1960-84. 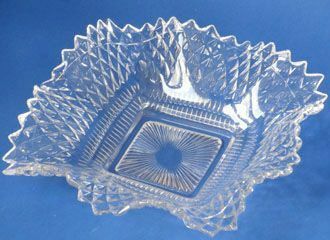 These crystal 6.5" ruffled square plates are in mint condition. 4 are available. 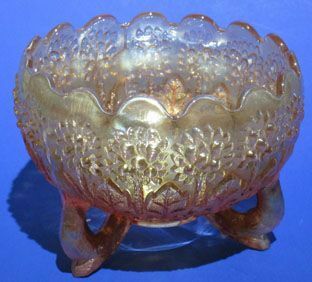 Fenton Orange Tree Carnival Bowl is three-footed. Marigold irridized and in mint condition. Measures about 5" x 3.5". Made in the 1920's. 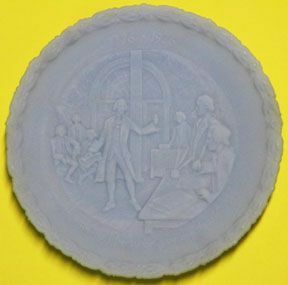 Westmoreland Black Plate w/Mary McGregory was made in the 1970's. It is in mint condition and is 8.5" across. 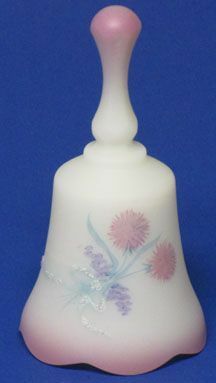 Fenton Dusty Rose 8.5" Candlesticks were made in the 1980's. Dusty Rose had a blue hew to it. These two stix are in mint condition. 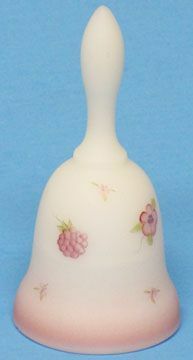 Fenton Rosalene Hand Painted Slipper with Rose Applique. And this is a LARGE slipper. These slippers are usually 5.5" long and 2.5" high. This one is 6.5" long and 3.5" high! This slipper is in mint condition. Quite often you find that the rose appliqué is chipped -- not this one! 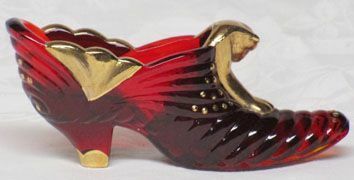 this shoe has Fenton's silver label still attached and is signed by artist F. Enoch. I've included a front-on photo to show the rose appliqué. 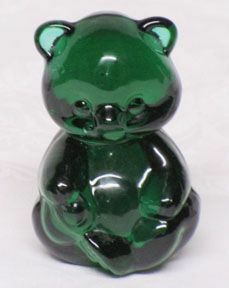 Fenton Green Bear is about 3.3" tall and in excellent condition. No logo on this one, so it was made before 1972 (that's when they started putting their logo on everything).